How Does Local Search Work To Grow Business in 2018? This entry was posted in Business Tips, Local SEO, SEO. Bookmark the permalink. Local search is anything an individual does on the internet to promote a business that makes physical face-to-face contact with customers. That applies to small and medium business that have a single location and national chains, brands, and national enterprises. If a business meets directly with its customers, whether that be through a service area or storefront, it meets the “local business” criteria. The business can use a specific set of skills or techniques to increase the visibility on the internet. That depends on whom you ask. However, some marketers call local search—local SEO but most like to refer to local search as a more united tactic to marketing for local companies. 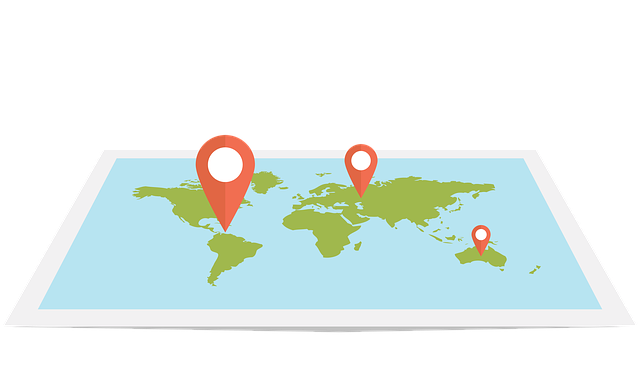 Local search is about placing your company on the map in local searches when potential customers are in need of a business such as you. Local search marketing is a form of SEO that assists local companies in showing up in relevant local searches. A large part of local search is having your business appear in the lead so consumers and locate and choose you. How Does Local Search Marketing Work? To establish a local search existence, you will need to enhance your information online so that search engines can place your organization in the proper searches. Consumers need to be able find your information online easily and choose your company. To provide yourself with the best opportunity of appearing in the right searches, you will need to provide search engines with all the details they need to know. How do you do this? You provide consistent and current NAP—name, address, phone number to the most significant directories, so search engines understand what it is you do and your location. This consistent and current information will show search engines that your business is trustworthy. However, if your listing on the popular directories has inconsistent and inaccurate details, search engines will not know it can trust your company. That can harm your local search ranking. That means consumers will not find you when looking for services or products you offer. They will instead buy from your competition. I suggest checking out this great article about local search for more information. Why is Local Search Important? According to TMP /ComScore- 82 percent of all local searchers make a purchase, phone-call, or in-store visit. Let that sink in for a minute. That means every three out of four online searches for a business are wanting something in their area. Also, two out of three people doing local searches, end up making a purchase. Local search is about the intention to make a purchase. Therefore, if you want to snag those possible customers right when they need something, your organization needs to rank on the front page of search results. Where many people go wrong is thinking search is only about the heavy hitters in search engines. However, that is just not the case. Searchers locating local businesses happens all the time through queries. All this information along with other details that matter to an individual searching for a business is accessible on many websites. The fact is, searches are three times more likely to find information about a company via third-party services. A few of those services are Yelp, Citysearch, Facebook, Google, and Foursquare than on the company’s website. With restaurants, it is ten times. If you type in “hairstylist in Colorado,” the search engine on your computer is pretty confident that you are in need of a hairstylist in Colorado.” Pretty straightforward stuff, eh? Search engine services can guess a location by analyzing what website the person is using. For example, if the person is using “Google France,” more than likely that Individual is in France. The same scenario if the person uses Yahoo! UK, chances are high that the person is in the United Kingdom. Other situations are that a partner site can be more precise and associated to a specific city or region. Wondering Where Exactly to Start? If your business is new, you will need to set up new profiles on the following sites. If you have been around for a while, you will need to verify/claim these pages and then complete or correct your information. These websites can have a significant impact on your local search ranking. Be sure your information is consistent and correct across the board. Moreover, keep in mind that social media and Yelp place close to the top of organic search results. 3. Search for your city and your industry (such as pizza Rome New York). Did you see your business in the search results? If you did, were you close to the top or did you need to click on “view more” then scroll to the bottom before you see your business? 4. Search for your business name, phone number, and location (example: Open Bar and Grill Shreveport, Louisiana). 5. Flip through the directories. Correct and/or complete your NAP, or claim. Some directories you will have a fee while others are free. Keep in mind that consumers will prefer to interact with a company using an integrated marketing method. Therefore, once you have been strategizing the management of your local search existence, you will need to produce more customer reviews. You will also need to use paid marketing to reach new markets and build up your social media existence. Now that you got your answer, utilize the combined strategy to put your local company on the map. These strategies will help you be located and chosen by more potential customers. Is there really anything else a business wants? 4 Responses to How Does Local Search Work To Grow Business in 2018? Hi Brad, I truly appreciated the detailed information you have provided in this article. It’s loaded with information that would have otherwise taken quite some time to compile. Thanks! Thanks for the great share. This post is a timely reminder for me to start using the same. The most surprising thing to me is the amount of opportunity that the internet provides for any business. Hopefully the internet can remain free and continue to help all businesses thrive and grow!